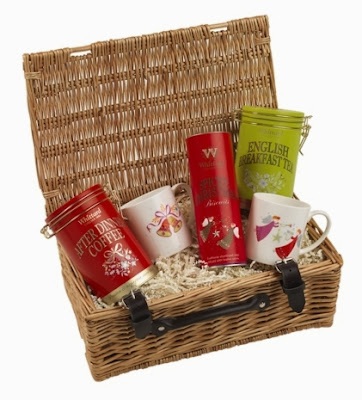 My 11th giveaway is a Festive Drinks for Two Hamper from Whittard. "Pursuing his passion to import and trade high quality tea and coffee, Walter Whittard opened his first shop in London in 1886. Selling tea, coffee and cocoa, he started creating special blends for his customers, building and nurturing the reputation Whittard has today. From that one little shop on Fleet Street we continue to grow, sharing our innovative range and specialist knowledge across our UK stores, overseas and online. We’re still the blending and tasting experts, offering you something truly unique, with over 130 varieties of loose tea, coffee beans and luxurious hot chocolates." The hamper is really good quality, with sturdy leather straps. Great for picnics in the Summer or just as a good looking piece of storage for around your house. I am going to keep my tablecloths and napkins in mine. 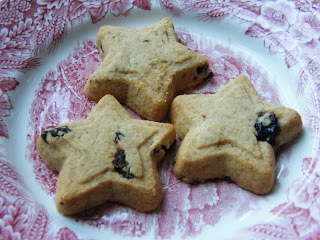 The star biscuits are particularly nice. Spiced shortbread in the shape of stars, flavoured with mincemeat. Great to offer visitors with a cuppa on the run up to Christmas. 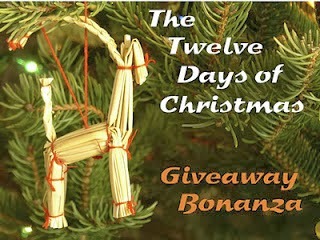 All you need to do is leave me a comment telling me if you are a coffee, tea or hot chocolate lover and then add your entry to the rafflecopter box below. This giveaway is UK only and runs until 1 January 2014, the winner will be announced the next day. Disclosure: Whittard sent me a hamper for review and they are offering the same hamper to one reader. I was not required to write a positive review and any opinions expressed are my own. I'm definitely a coffee person. Never quite got tea, but an occasional cup of hot chocolate is a real treat. Love my cup of tea. Tea and Coffee but if forced would go with coffee. I love all three just as equally! i love all three depending on my mood! I'm a tea drinker during the day, but I like a mug of hot chocolate at night. i love hot chocolate, especially white hot chocolate! I love tea best but coffee comes a close second. Hot Choc if I need a sugar kick, Coffee when I need a caffeine kick and a nice cup of tea with a slice of cake! I think the mug of hot chocolate balanced next to me tells you my answer.. Hot chocolate, with lots of marshmallows & whipped cream! I don't hold back on the calories. I've always been a tea drinker but I seem to be wanting more coffee these days. My partner loves hot choccie though. Love hampers! Is that a Spode plate under the biccies? Coffee in the morning, tea in the afternoon, and hoccy choccy in the evenings. Like an old woman tucked up in front of the sofa with a blanket and a hot water bottle, rummaging in the Roses tin. I'm definitely a tea person! Tea when you wake, coffee mid morning, tea at, well....teatime!! Winter is just right for a white hot chocolate. Cosy. The only hot drink I drink is hot chocolate! I'm a big coffee fan, but do occasionally enjoy a decent tea. I love all 3, i mostly drink tea but a nice coffee is such a treat! All three but probably tea is my fave. Coffee, but I'm happy to have the others too! Much as I love hot chocolate, nothing beats tea with soya milk in my book! I love all of it, but I love tea the most! A nice milky coffee, not too strong, is delicious. All three, but Tea is the one I find myself 'needing'! I'm not a big hot drink person but like a nice cup of black coffee or a strong cup of tea. Also like herbal tea. However, I'm not a fan of hot chocolate at all. I love coffee - strong, black and with a water chaser. I love all three but I drink tea most often. I love hot chocolate, in particular Whittard's Luxury White Hot Choc! Coffee, I wish I didn't love it so much. Definatley Tea in the Morning.. Lots of..!! & Coffee At Lunch.. Hot Chocolate For Bed time...! All 3! But you can't beat a cuppa tea and a choccie biscuit. Coffee throughout the day, tea at night and when I have biscuits to dunk! addicted to earl grey tea! Has to be Tea first, then Coffee! Hot chocolate, especially chocolate Ovalltine. Coffee for most of the time with an occasional cup of tea or hot chocolate. I love coffee. Thanks for the opportunity. Definitely a tea person - 3 cups before the school run and rather a lot more throughout the day! I like hot chocolate, and some herbal teas, especially rosehip and hibiscus. Hot Chocolate, especially if some Baileys has fallen into it! Love my coffee but also partial to tea in the afternoon. Um all 3 but can't beat a good strong culpa! Our house are tea drinkers. It has to be coffee for me! tea first, followed closely by coffee then hot chocolate! A tea person! Whittards on Argyle Street, Glasgow is a magical place. And dangerous for my purse! tea, I do not understand coffee love! Can't start the day without a strong coffee.